Sonic the Hedgehog and all the rest of SEGA’s great cast of characters hit the road again in this sequel to the hit racing game. Sonic & All-Stars Racing Transformed offers convertible vehicles, brand new characters, and killer All-Stars moves! Sonic the Hedgehog and all the rest of SEGA’s great cast of characters hit the road again in this sequel to the hit racing game. Sonic & All-Stars Racing Transformed offers convertible vehicles, brand new characters, and killer All-Stars moves! 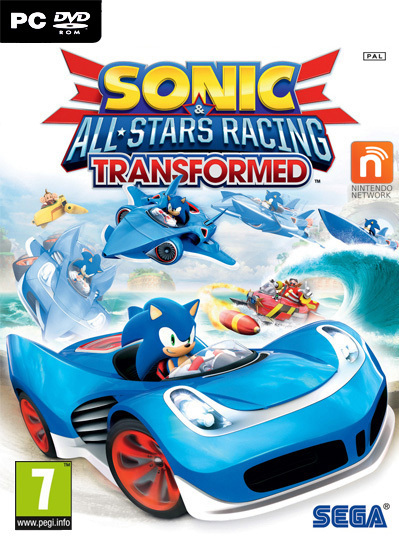 Following on from the huge success of Sonic & SEGA All-Star’s Racing, the characters now have their own unique transforming vehicles designed to take advantage of the varying terrain. The line-up on the Sonic & All-Stars Racing Transformed grid sees SEGA favorites — including Sonic the Hedgehog, Dr Eggman and AiAi — return to battle against newcomers that include Gilius Thunderhead of Golden Axe and Vyse of Skies of Arcadia.